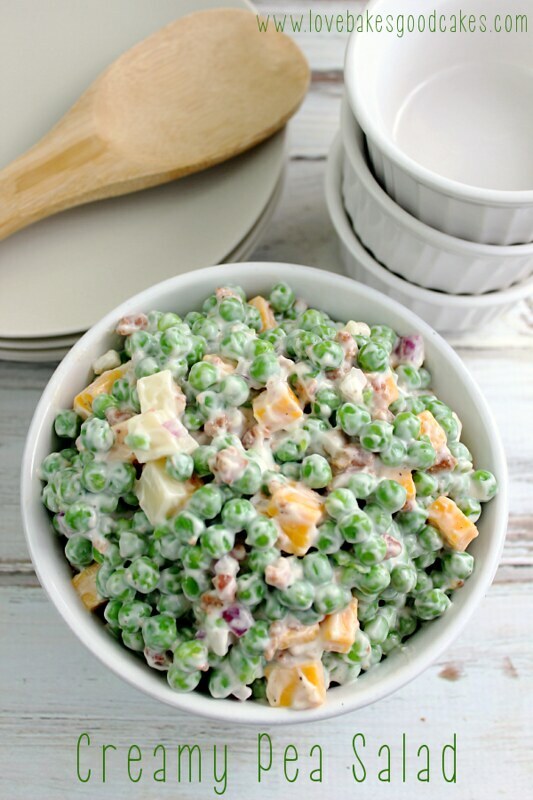 This Creamy Pea Salad is a nice change from the typical potato or pasta salads found at barbecues and potlucks. It requires very little cooking with just a little bit of chopping and mixing – it could easily be a no-cook recipe if you buy precooked bacon! It doesn’t get much easier than that! I don’t know about y’all, but I love cool side salads in the summer! They just seem so refreshing in the summer heat. Although I love a good potato or macaroni salad, sometimes, I want something just a bit different! 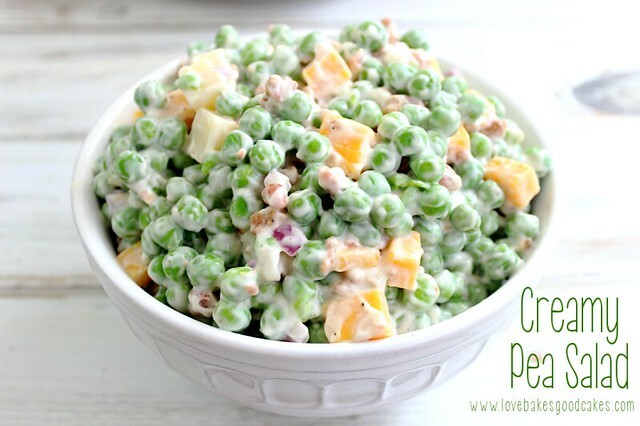 This Creamy Pea Salad is one of my personal favorites and it’s soon to become one of yours too! This Creamy Pea Salad is sooooo easy and it’s always a hit! I’ve had this in my recipe file for more than 20 years and I can’t tell you how many times I’ve given this recipe to friends and family! 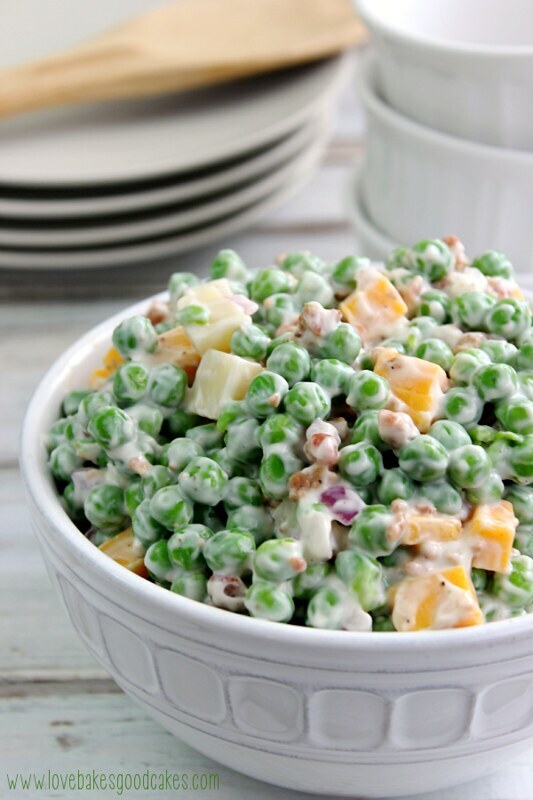 I’ve even had people who swear they don’t like peas, enjoy this Creamy Pea Salad – it’s that good! I like the simplicity of this recipe but feel free to play around with it a bit. Some people love to add eggs to their pea salad. You can use shredded cheese in place of the cheese cubes if you prefer. Sometimes if I have fresh dill on hand, I’ll throw a bit of that in there as well. I hope your family enjoys this as much as mine! This is just my type of salad! Love it, our seasons are a bit confused – we had Winter last week, totally skipped Spring (same last year) and we're right in the middle of Summer already… so, we will have a lot of braais soon. Pinned your recipe, thanks, Jamie! This looks tasty. I had to see how it differs from the one I have been making for years. They are pretty different, but I like all the ingredients in yours…I'll have to try it next time we have the hankering for pea salad. I am your newest follower. I hope you'll stop by again for a visit and maybe even a follow back. Have a great week! Thanks for stopping by Posed Perfection today and leaving me such sweet comments. I hope you have a wonderful Sunday! An ex-boyfriend of mine used to make something like this. I'm so happy to find a recipe for it. Yum! Thanks for sharing! Oh yum!! I love pea salad! 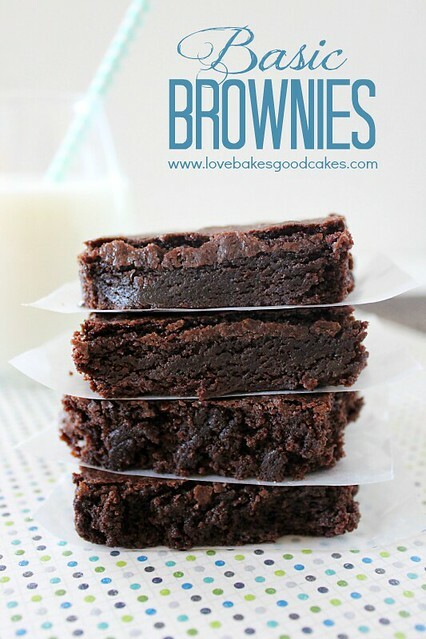 Have to make this!! Yummy! This is really similar to a macaroni salad that I make but this is soooo much easier. I can't wait to try it out. Thanks for sharing. Love you newest Facebook follower, Whimsically Homemade! looks great! never had pea salad, but I love peas…will try! 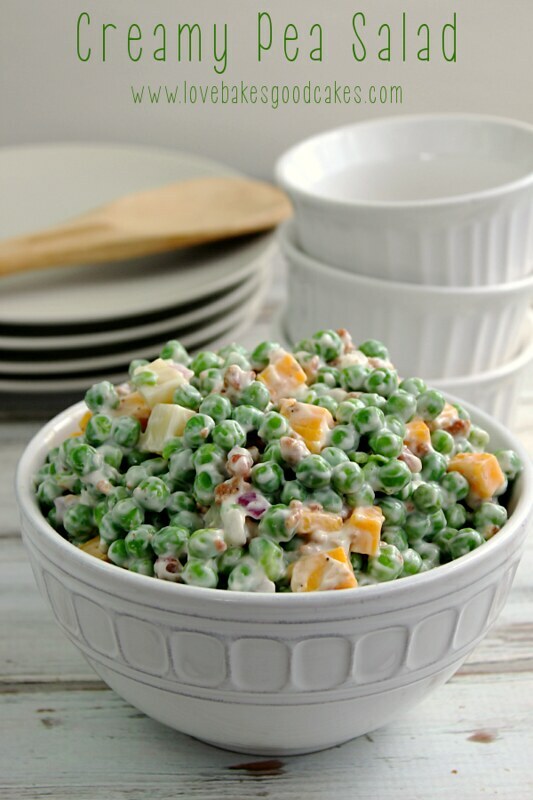 Jamie I'm visiting from Tempt your tummy,I saw this creamy pea salad and I couldn't get over here fast enuff…I love me some sweet peas,and this looks so good.And who don't like bacon,I could probable eat bacon on just about everything,I'm your new follower.Come see me if ya can. That looks so good! I haven't had Pea Salad in forever!I have to make some now 🙂 Thanks for linking up with me. This has always been one of my favorites!!! Thanks for posting and reminding me…think I see "creamy pea salad for the weekend". This looks so good. You could probably just use bacon bits too, for a no cook option. Thanks for sharing on foodie friday! Glad to see you left the cheese in the recipe that's what makes it so good. Hope you have a great holiday weekend and thank you so much for sharing with Full Plate Thursday. Yum. Thanks for sharing this week at One Creative Weekend! Have a great weekend! Sounds delicious! Thanks for sharing on Foodie Friends Friday! This looks good. Thanks for sharing on Foodie Friends Friday and hope to see you back this week with some of your great recipes. Stopping by for the first time and enjoyed perusing many of your posts! Sweet place you have here 🙂 I think this recipe sounds so good! I love peas! Oh my gawsh!!! I haven't had this in years!! It used to be one of my fave side dishes. Yummy! Stopping by from Totally Tasty Tuesday! 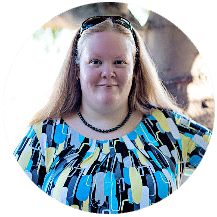 G'day Jamie and congrats also on being featured via The Olive and Grapevine Salad newsletter this week too! This looks delicious! Has anyone tried a substitute for mayo? Just saw this as link on Garlic-Herb Cheese Bombs recipe. Mom made Pea Salad with peas (canned in pre-frozen box days, and fresh blanched if she had them), diced apple, very thinly sliced celery, very small cubes of cheese, if time permitted, coursely if not, sliced green onion tops, and the same dressing. If you don't like peas, try broccoli instead – works great. You can also thin the mayo with a bit of cider vinegar & sugar if you'd like a little more sweetness in the dressing. Yes yes yes…. The only thing I need to say is that I always use the BABY PEAS. It really does make a difference. And for a bit of a change, use diced ham for the bacon. Your recipe looks wonderful. It is the exact side dish I was looking for, for a luncheon with a friend. Thanks for sharing. What a creative salad! Looks good! My mom makes a version of this every Summer! So yummy! such a fun play on a side. I love peas! Such a fun and yummy recipes to get the veggies in! I love peas and yes, what a great change from the typical potato or pasta salads!!! love this! 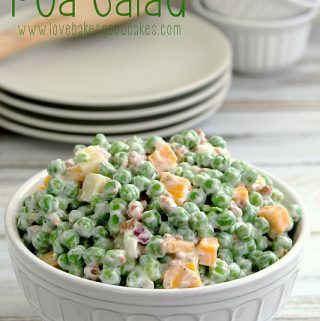 I love Pea Salad, yours is just a bit different then the one I have made, can not wait to try it! I haven't had pea salad in way too long! Time to put this on the menu for this week!! I recently made this for a family reunion. 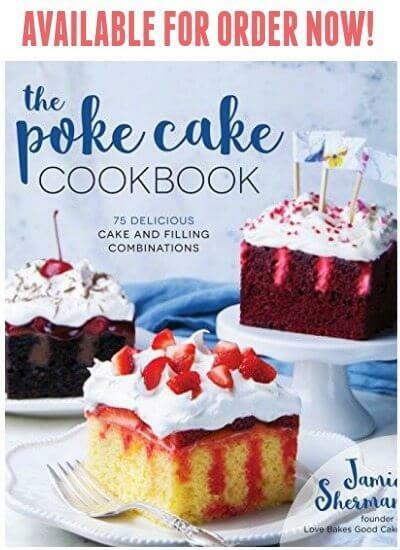 It was a huge hit and so easy to make. Thank you Jamie! I use boiled eggs in my pea salad, really yummy. My grandmother used to make this and include peanuts. As a change, cubed, cooked sweet potatoes are a nice additon, as well! Yes!! I put boiled egg in my salad too (not mozzarella ) & celery & pimento too if I had it. 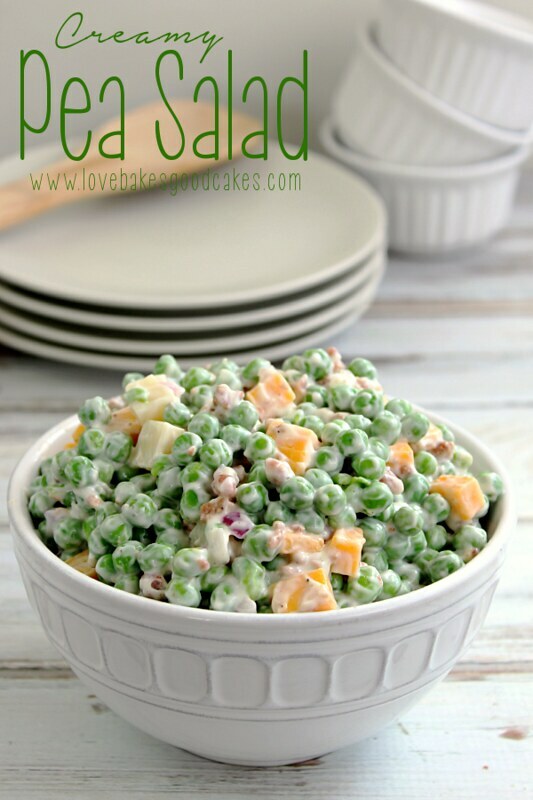 Pea salad is a treasure for sure!! can you use vegan mayo ? That would be fine. I hope you enjoy it! My mother in law makes this except we add pickles. Makes it sooooo delicious. I put chopped boiled eggs in mine. Also a bit of pickle relish. I made this today and it brought back of memories of sitting at my grandmas table on Sunday!! Thanks for the recipe as it is the closest one I have found to match what my grandma made. My husband had never had and loves it. 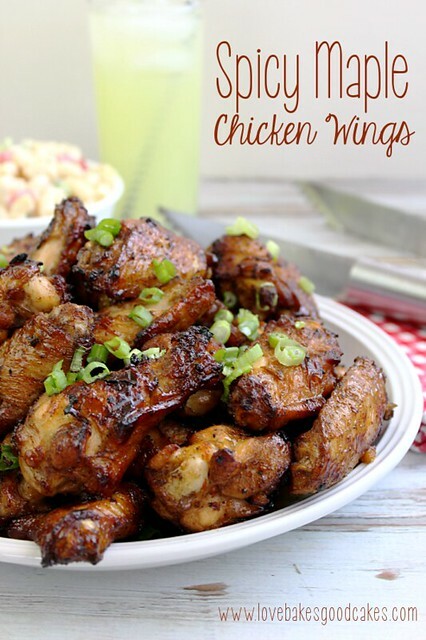 This dish is traditional with my family and required at all holiday gatherings! The recipe from my granny included hard-boiled egg and diced celery. Not so great for me.. didnt have many takers at Thanksiving. I have made this salad several times. With precooked bacon and regular and I’m a fan of precooked! This is delicious salad! !